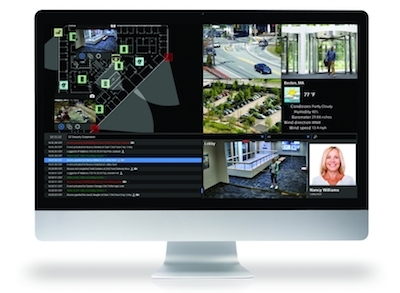 S2 Security's Magic Monitor Version 5 unifies access control, video surveillance and forensics, digital signage and live Internet sourced real-time data and information feeds in a single user interface. Version 5 introduces Dynamic Cells, which allow users to program any Magic Monitor with interactive content. This version also includes enhanced S2 NetBox access control and event monitoring system integration and additional third-party video management system support. With Dynamic Cells, Magic Monitors can be customized to meet unique operational requirements. By programming any Magic Monitor with dynamic content, users can create interactive floor plans as well as follow events on screen by navigating through one camera feed to the next. In addition, Dynamic Cells support touch screen-capable, responsive digital signage for general use throughout the enterprise in public areas such as lobbies and cafeterias.